Advances in technology and its application are proving invaluable in the global fight against counterfeiting. It can work very well in certain fields, although it can’t stop the sale of some fake items, such as fashion goods. Where it can work, though, it’s proving to be a very effective weapon, and as it improves, it is playing an ever-more important part in beating counterfeiters. Holograms, those small 3D images, are very hard to reproduce properly. Some companies have begun using special holograms to mark their packages and products. It’s expensive, but for some products it can prove to be a very worthwhile investment. They’ve been widely used on medicines, where the need to stop counterfeiting is critical, and also on software and other items where the need for authentication of manufacture is vital. The nature of holograms on packaging means they can’t be widely applied, but their use has made a real impact on fakes. Counterfeiters have tried to replicate the holograms, but in most instances they’ve been unsuccessful. How successful the use of the technology is ultimately depends on wholesalers and retailers – ever part of the supply chain - actually checking the hologram to verify that the items are authentic. Colour shifting inks have also been used as part of the technological arsenal against counterfeiting. Replicating these is almost impossible. Indeed, the more sophisticated the packaging, with elements that are hard to reproduce, the more secure the product. The remote authentication of software such as operating systems has been a very effective weapon. Some of the big companies, such as Microsoft, can remotely check their software, like the Windows operating systems, on users’ computers, to see if it’s real or fake. Those that are fake receive a warning, and if the user doesn’t replace the software with a genuine system, he can suddenly find himself with a computer where the software doesn’t work. This has been a very useful tool in the intellectual property fight against pirated software, although it needs more widespread application in order to really deter the counterfeiters. Cloning and key extraction are two advanced tools that counterfeiters use to make their software seem real. There are now firewalls that companies can use in order to block this. They prevent tampering and are emulation-resistant, thereby cutting off one avenue of grabbing information that can make pirated software appear legitimate. Things like barcodes and barcode readers that can identify the authenticity of the product have proven useful, especially with pharmaceuticals. 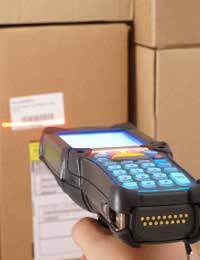 The information on the barcode can include the batch and the expiration date of the product, as well as where it was manufactured. When fully integrated into all stages of the supply chain, especially at pharmacies, it can be very effective in detecting fakes automatically, as well as ensuring the patient receives the correct product. The problem with a lot of this technology is that the major counterfeiters have the resources and the incentive to try and keep pace with the legitimate companies. Every time the companies edge ahead, the fakers are on their trail. This means that the technological advances have to keep coming in order to stop the counterfeiters. That eats up resources and cuts into profits. But it keeps the brand and customers safer, which is more important. The role of technology in all this continues to grow, since it offers more safeguards for products, and, in some cases, the opportunity to render the counterfeits valueless. Very helpful piece. I am currently working on brand protection strrategy and I hope this would help my work a lot. Thanks, keep up the good work.